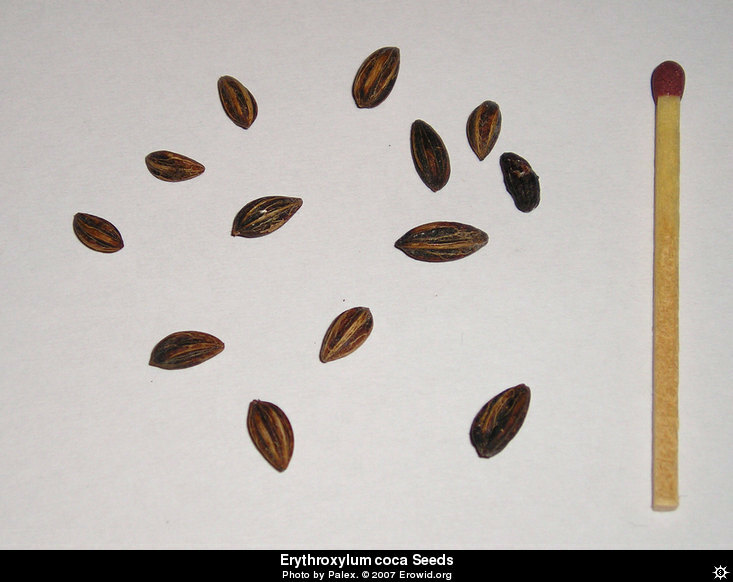 Erythroxylum Novogranatense cocaine seeds We are very pleased to be able to offer on a continuous basis, while in season seeds of the genus Erythroxylum novogranatense shipped direct from the plantation. Shipped fresh in the pod wrapped in moss, shipped the day of harvest. Their viability is 4-8 weeks if kept in optimum conditions although after four the % to germinate will be reduced. Please reserve your shipment below. Your seeds will be shipped direct from the grower within two to four weeks You will receive them within 4-6 weeks from ordering, not from time of shipping. Please be AWARE of this delay when ordering!